Christian boarding school for teenage boys in Pennsylvania - Prayer Mountain school for boys, located in Georgia. – boarding schools and schools for troubled teens. Researching Christian Boarding Schools for Boys in Pennsylvania? Most May Not Help Your Boy if He is Struggling with Emotional or Behavioral Problems. At Prayer Mountain, We Can and Do Help Troubled Boys! Trying to find a Christian boarding for boys close to Pennsylvania? Would you also look at Prayer Mountain Boys Academy, located near Atlanta, Geogia? Much lower in cost than most therapeutic boarding schools around Pennsylvania, our school for boys is designed to help your boy from Pennsylvania make positive changes in his life, academically, behaviorally and spiritually. Prayer Mountain Boys Academy is committed to helping boys find victory over bad choices. Families wanting Christian boarding schools choose Prayer Mountain Boys Academy because of our Christ-centered focus and the caring nature of our program. Every aspect of our therapeutic school for boys centers on a relationship with Christ, from our Biblical counseling to the character-building curriculum we use. Our therapeutic program lasts 15 months, providing enough time to make their new change of heart more permanent. With our campus in Southwestern Georgia, Prayer Mountain Boys Academy offers healing to boys and their families from cities around the country, including from Pennsylvania. All boys boarding schools offer a safe place to pursue education, without many of the common distractions at public coed junior high and high schools. Those distractions may have led your teen to slip in his grades and not care about his future. Prayer Mountain Boys Academy is designed to not only offer strong academics, but also addresses the root issues that contributed to academic struggles. Students at Prayer Mountain Boys Academy get their education and their attitudes back on track, guided by our certified teachers and tutors. Prayer Mountain is a troubled teen program and Christian boarding school that is operated by Teen Challenge International. We help teenage boys, ages 13-17, to help them find their identity in Christ and to fulfill their God-given destiny and purpose. Prayer Mountain stands apart from other normal boarding schools because we are trained to work with troubled boys. Our decisions and interactions with each boy are Christ-centered. Behavior modification is not our purpose, though it does happen through mentoring the boys to make authentic change that will continue for a lifetime. We are staffed with people whose hearts beat for God and for brining heart change to the young men He brings to us. Among all boys boarding schools, including those in Pennsylvania, Prayer Mountain Boys Academy stands out as a result of its connection with Teen Challenge. Teen Challenge has one of the greatest success rates out of any program in the nation, and it has been helping individuals make lasting positive change for better than 50 years. The success of the program has been applauded by national leaders, including Presidents Ronald Reagan and George W. Bush, and Rev. Billy Graham. Unlike boarding schools for boys in Pennsylvania with a primarily academic emphasis, Prayer Mountain Boys Academy has a focus that embraces the parents and siblings as well. 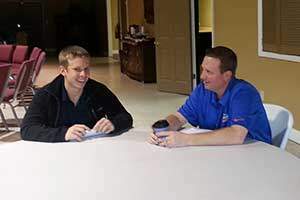 The curriculum includes family counseling to teach boys and their parents to rebuild damaged relationships, and also to help parents address issues in the home and receive Biblical parenting instruction. Prayer Mountain Boys Academy understands that the family component plays a major part in the ongoing success of the boys in the program. Emphasizing family restoration means that when boys return home to Pennsylvania or elsewhere, they return to a situation that is healthy and supportive. At Prayer Mountain, your son will be in a safe Christian boarding school environment designed to teach structure, discipline and authentic Christian discipleship. We have one teacher per twelve or fewer students, with a math and science tutor also available. The boys work through courses individually under the management of a classroom teacher. Education is individualized, allowing each student to achieve any level of proficiency. Students are taught early on to set goals, a skill that helps them not only to think about the big picture but also to focus on today. Our students who go on to college are prepared for studying on their own as well as for managing big projects over the course of a school year. We hope you will consider Prayer Mountain Boys Academy in Georgia even as you search for a Christian boarding school in Pennsylvania. Prayer Mountain is an effective and affordable alternative to other Christian boarding schools for boys in Pennsylvania. Call or inquire online today to learn how our boys boarding school can bring lifelong healing for your teenage boy. Prayer Mountain Boys Academy is an all-boy Christian boarding school, serving troubled teenage boys with life-controlling issues in Pennsylvania and around the country. Pennsylvania is a U.S. state that is located in the Northeastern and Mid-Atlantic regions of the United States, and the Great Lakes Region. The state borders Delaware and Maryland to the south, West Virginia to the southwest, Ohio to the west, New York and Ontario, Canada, to the north, and New Jersey to the east. Pennsylvania is the 33rd most extensive, the 6th most populous, and the 9th most densely populated of the 50 United States. The state’s four most populous cities are Philadelphia, Pittsburgh, Allentown and Erie. The state capital is Harrisburg. Pennsylvania has Convert of coastline along Lake Erie and Convert of shoreline along the Delaware Estuary. Excerpt about Christian boarding schools for boys in Pennsylvania, used with permission from Wikipedia. We can also help you in your search for other military schools, troubled girl boarding schools, therapeutic boarding schools, therapeutic boys homes, or therapeutic boarding schools. This is a Teen Challenge boys ranch and boarding school program dedicated to helping troubled boys get a new start in life. Our boys ranch is a therapeutic program that offers hope and an opportunity for a new and more productive future for at-risk boys. Teen Challenge therapeutic boarding school and ranch providing behavioral therapy for troubled teenage boys. Christian boarding school for teenage boys in Pennsylvania - Prayer Mountain school for boys, located in Georgia.